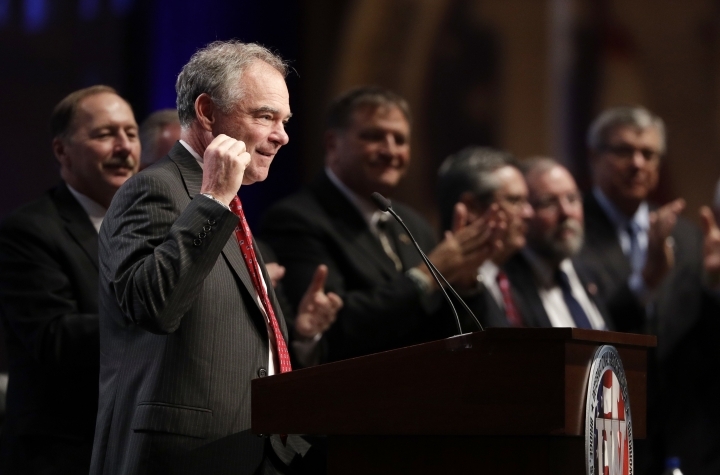 LAS VEGAS — Tasked with shoring up union support for Hillary Clinton, running mate Tim Kaine turned Monday to someone he knew was up to the task: His dad. 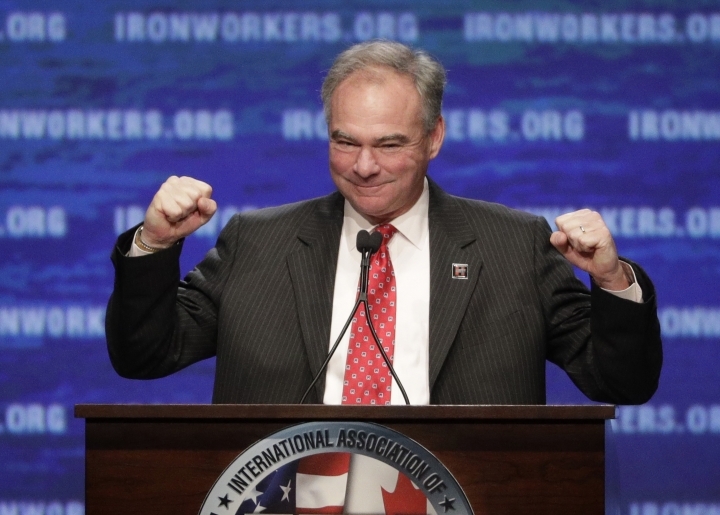 The Democratic Virginia senator brought his father, Al Kaine, with him to the ironworkers' union national convention. 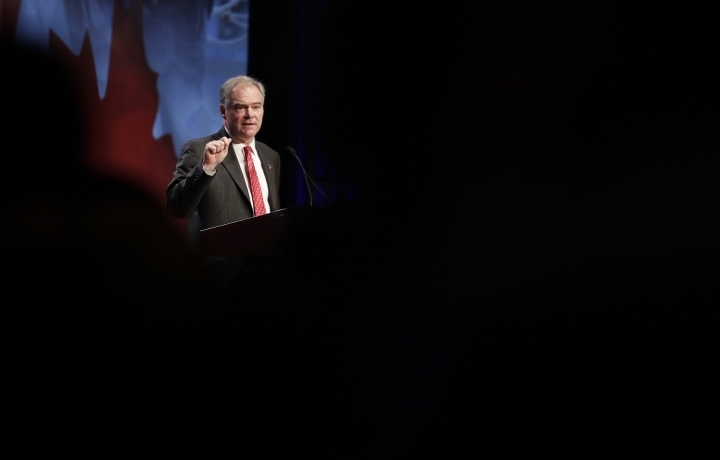 The senior Kaine owned a small union-organized iron working shop in the Kansas City area, and his presence lent a personal touch to the senator's remarks. 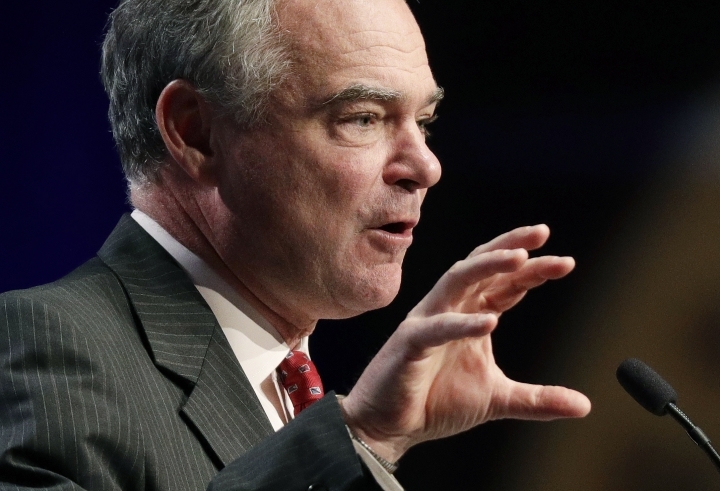 Kaine recalled how he would pitch in at his father's shop on weekends and summers. He said that's where he learned life lessons about hard work and not cutting corners while working alongside his dad's employees. "'Ironworkers are artists,' my dad always said that. 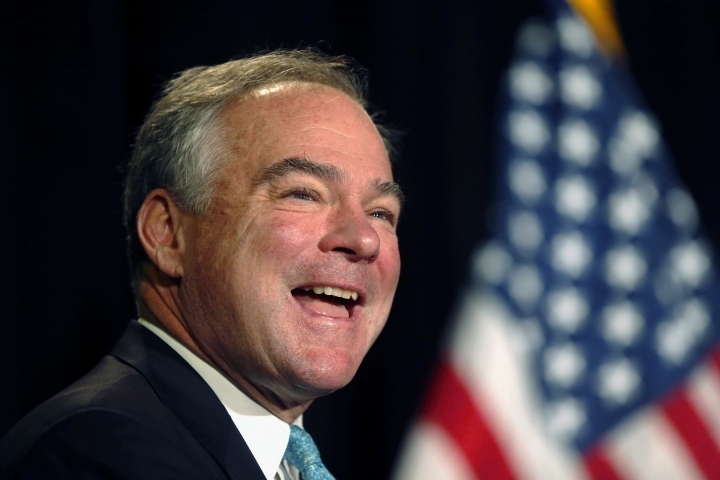 I know it," Kaine said. Kaine heaped praise on union workers and promised that labor issues wouldn't be taken for granted if Hillary Clinton wins the White House on Election Day. "You'll always have a seat at the table," Kaine said. It's a vow that underscores the importance Democrats and Republicans are putting on blue-collar workers who may help decide the presidential contest, particularly in Midwest battleground states where wages have stagnated and a decline in manufacturing jobs has hurt workers. While labor has long been a key part of the Democratic base, GOP presidential candidate Donald Trump has taken hardline positions on trade and immigration unlike any other modern Republican contender for the presidency. He and his supporters hope those stances will appeal to a white working class they say has been taken for granted by Democrats. Trump has also tried to paint Clinton as beholden to Wall Street interests and blasted her positions on trade in an effort to win working class support. The Republican presidential candidate has said Clinton would implement the Trans-Pacific Partnership trade deal if she's elected. While Clinton promoted the agreement dozens of times as secretary of state, she has since said she cannot support its current form. 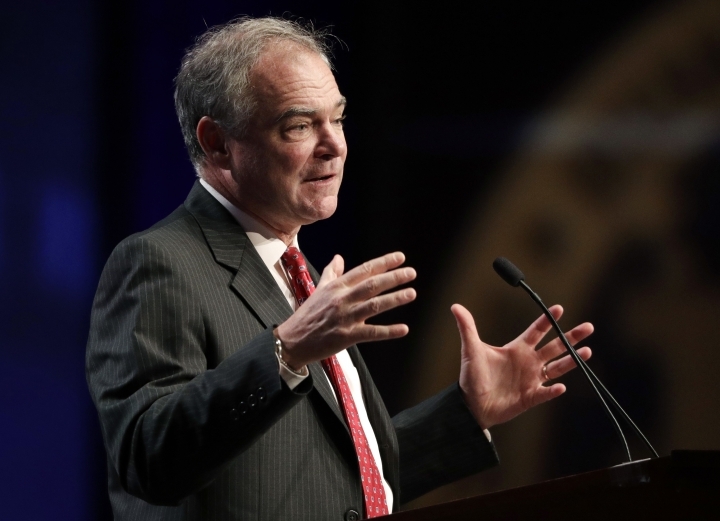 Kaine voted in 2015 to support so-called fast-track authority — allowing the president to negotiate a trade deal that Congress can approve or deny but not amend or filibuster — but also opposes the TPP. John Fredericks, a radio host and vice chairman of Trump's Virginia campaign, said the fact that Kaine is addressing the union shows that Democrats are "scared to death" of how well Trump will do with labor voters on Election Day. "Talk is very cheap, and he can go and meet with as many union bosses as he wants," Fredericks said. Kaine was on friendly turf during his two campaign stops in Las Vegas, where Trump has fought efforts for employees of his off-Strip hotel to unionize. The ironworkers' convention opened with an invocation from a Catholic priest who compared Trump to biblical "false prophets." But a few moments later, California union official Robbie Hunter reminded the Democratic politicians present that union support was not guaranteed. "If the Democratic Party wants to continue carrying labor, they've got to keep faith, they've got to deliver," Hunter said. Kaine's father did not speak at his son's two events Monday. But in a brief interview with The Associated Press, he said union members need only compare his son's record versus Trump's on labor issues when casting a vote. "That's all you have to do is look at that record and see very strong support of unions: him supporting them, them supporting him," Kaine said.